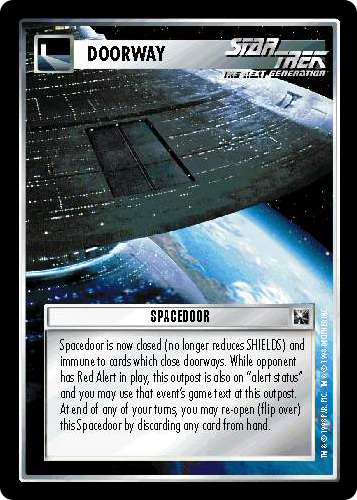 Spacedoor is now closed (no longer reduces SHIELDS) and immune to cards which close doorways. 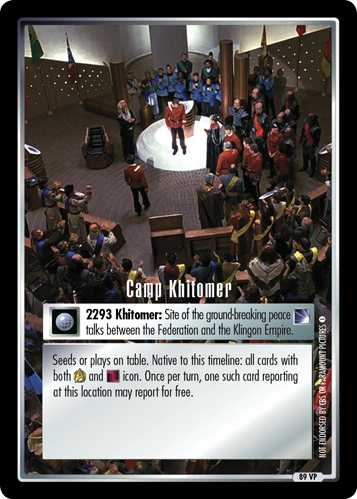 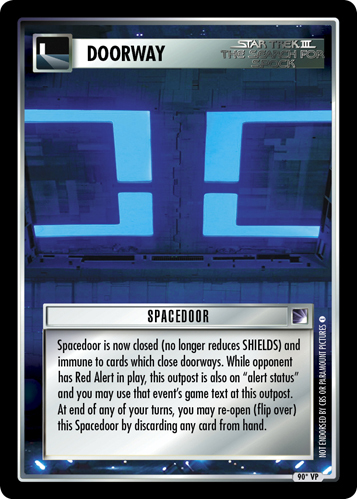 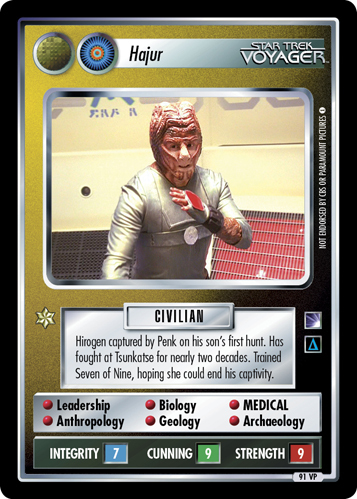 While opponent has Red Alert in play, this outpost is also on "alert status" and you may use that event's game text at this outpost. 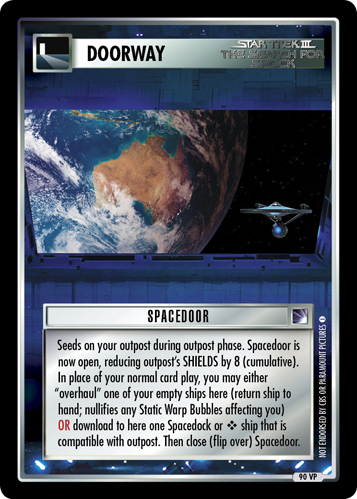 At end of any of your turns, you may re-open (flip over) this Spacedoor by discarding any card from hand.